Synopsis: When Kate escapes to the vast but rundown property of North Star after a bitter divorce, it doesn’t take long for her realize that she’s going to need every ounce of determination to restore the homestead to its former glory. Since her divorce a year ago, Kate Thurston feels like she’s lurched from one disaster to another. Her teenage daughter, Georgia, seems to have morphed into a monster overnight, and her son Liam breaks her heart with his sad brown eyes. When Kate receives news that her grandfather has bequeathed her North Star, the vast property that has been in her family for generations, it feels like the perfect opportunity to flee the hectic pace of city life for a calmer rural existence. As soon as she arrives, however, Kate realizes it’s going to take untold amounts of work to fulfill her dream of turning it into a bush retreat. As she starts to make headway with the homestead’s restoration, and falls for a local guy, Kate finally feels like life is going right for her, but then her ex-husband comes to town and triggers a series of events that will change her life forever. Can Kate face her demons and put her past to rest and find happiness and her true destiny? Review: Kate is the divorced mother of two, teenager Georgia and young Liam and relocates her family to the country after inheriting her grandfather’s property, North Star. Kate hopes the change of scenery will help provide a stable, safe place for her children to grow and prosper away from the influences of the demanding city. 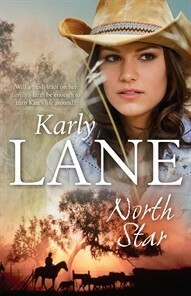 But for Kate to return to North Star, she must face her early experiences of abuse and turbulence that still haunt her today. Kate’s method of avoidance becomes counterproductive as she is constantly reminded of her childhood in a town which possess her fondest and darkest memories. Reunited with childhood friend Jenny along with her husband and their children, Kate is supported in the town to clean up the farm and make it a home again. Georgia is an unruly teenager who finds fault in all of Kate’s plans and longs to return to the city. Liam is a shy kid, who quite likes the farm and seemingly goes along with whatever happens. The local cop in town, John Cafferty takes a special interest in Kate, firstly to return her daughter from an attempt to buy alcohol at the bottle shop, and then for more personal reasons. There’s an instant attraction between the two of them but Kate has built up a wall of defences over the years and their foundations are quite solid. Just as Kate begins to unwind and the gentle-natured and patient John breaks through some of her insecurities- Kate’s husband Andy returns to town and threatens to uncover a deep, dark secret that Kate had locked away and vowed never to think about again. I was quite blown away with this debut novel, by Aussie Karly Lane who has a refined writing style and a great understanding of how early experiences influence adult relationships and functioning. I feel she really captured Kate’s internal conflicts and I understood every decision she made along the way- even though I didn’t agree with them at times. She was also stubborn but not annoyingly so and even though I was disappointed by her persistent avoidance right until the end I think it is quite fitting to her personality and the circumstances. John is a loveable character, perhaps a little too perfect at times, but he is exactly what Kate needed to experience unconditional love for the first time in her life. From childhood abuse, to drug addiction to gambling and the intricacies of friendships, relationships and family- North Star covers very real issues with complex characters in a rural Australian setting. 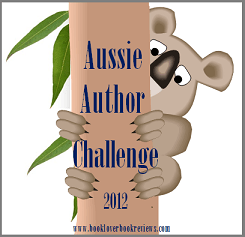 About the author: Karly Lane lives on the Mid North Coast of NSW. 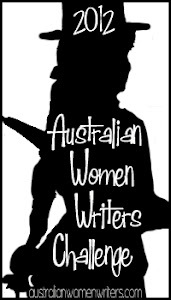 Proud mum to four beautiful children and wife of one very patient mechanic, she is lucky enough to get to spend her day doing the two things she loves most-being a mum and writing stories set in beautiful rural Australia. I was going to ignore this book because it sounds like just another rural lit book but you have me intrigued with the secret that Kate hides and your 5/5 rating! I’m so glad you enjoyed North Star! Thanks for such a lovely review! I’m loving all this rural lit and North Star is another great example!